Welcome to Minichillo’s Upholstery, Inc. We are a team of professional Stitchers, Frame Builders, and Upholsterers with sound experience and a deep love of our craft. Owner Paul Minichillo has over 48 years in the business, and all of our Stitchers and other tradesmen each have over 25 years. We are very passionate about furniture. We all love what we do and especially love the appreciation we get from our customers. 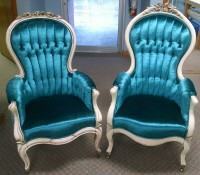 From custom re-upholstery to custom built furniture, we can fulfill all of your furniture upholstery needs. We offer custom made Ottomans, Cornices, Upholstered Headboards, Pillows etc., custom made or your own pieces custom reupholstered into a one of a kind design for you. With your imagination, or ours, and our Quality craftsmanship we will make it POP. 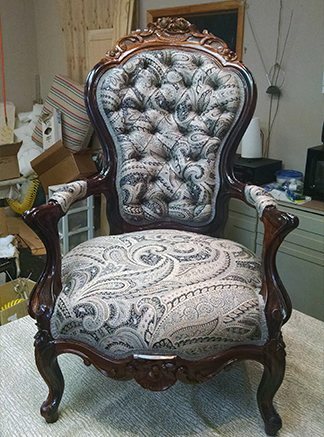 Whether it is for a living room, bedroom, or business, we are a full service shop offering both residential and commercial upholstery and design.